Another Mele Murals project has begun. 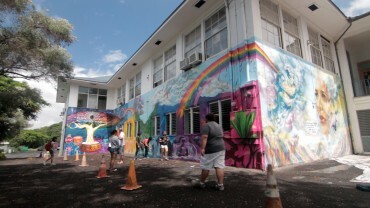 This time taking place at Blanche Pope Elementary School in Waimanalo. 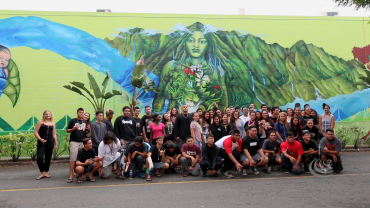 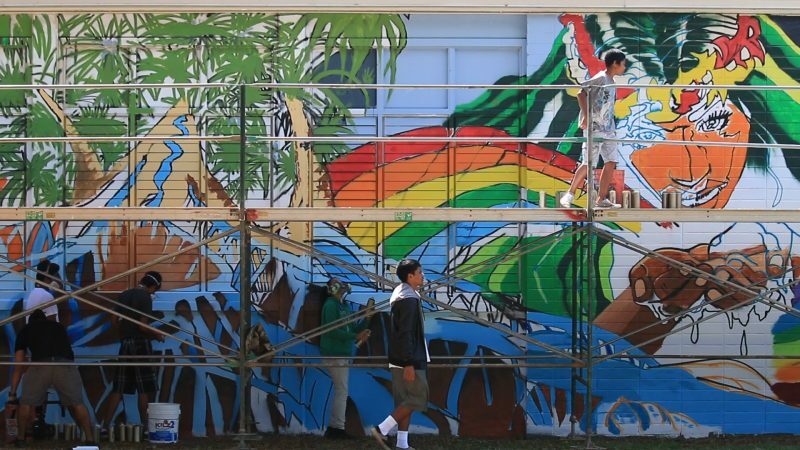 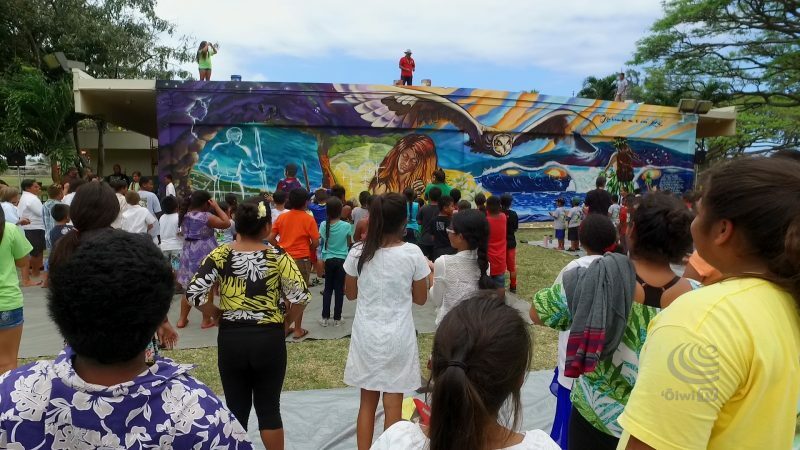 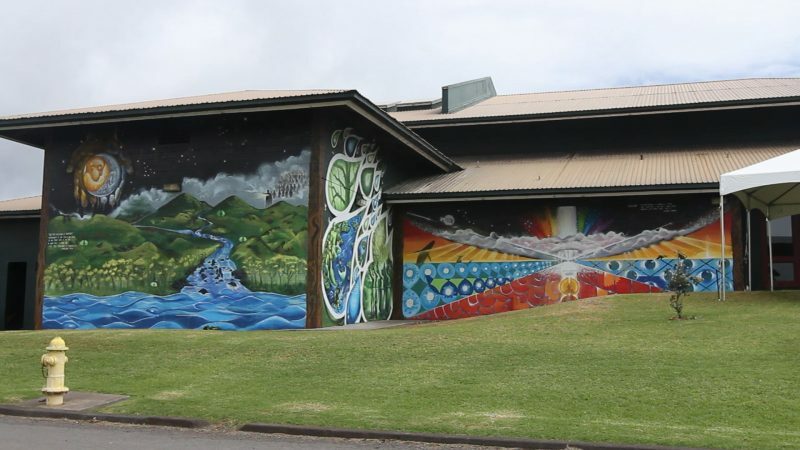 Mele Murals completed both their largest project yet and first collaboration with a DOE school at Kaimuki High School. 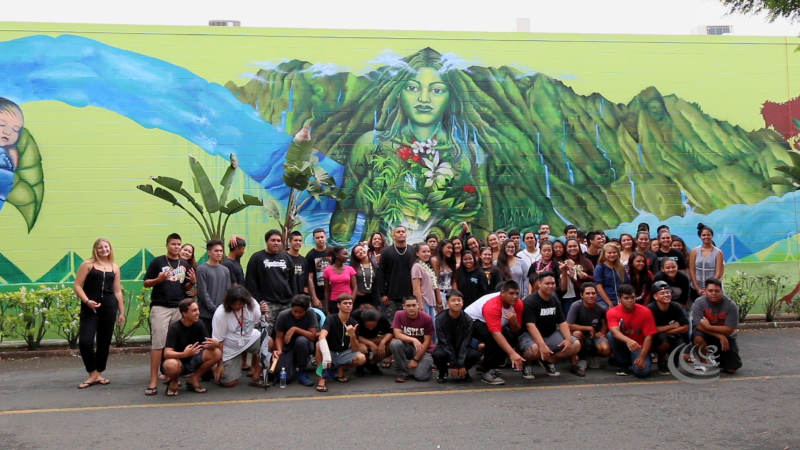 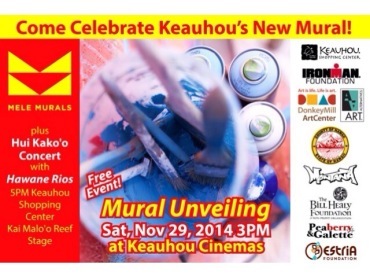 Students from Cathedral Catholic Academy & Pacific Buddhist Academy collaborated on the latest Mele Mural in Nu'uanu.